It's no secret that a beautiful, attractive smile can be one of your best attributes. If your smile is less than perfect, consider one of the many cosmetic procedures that we offer. Dr. Murray takes pride in using the latest techniques available in cosmetic dentistry today. Our cosmetic services include Porcelain Veneers, Orthodontics, Whitening, Bonding and Dental Implants. Hundreds of satisfied patients have trusted their smiles to Dr. Murray. The art and science of cosmetic dentistry has made major advances in recent decades and Dr. Murray attends continuing education seminars to keep abreast of these advances. There are many options available to us in dentistry that were unthinkable just a decade ago. We can rehabilitate cases that were once destined for a life of dealing with the removable denture for replacing lost teeth. Then there were those who made other choices for tooth replacement such as the bridge, which was a much better choice for tooth replacement, but destroyed the healthy adjacent teeth to achieve the desired result. The best choice for minimal destruction of other healthy teeth is the dental implant and single porcelain crown on top of it. Our patients are much happier to return to their daily lives and not give a second thought to the fact that they lost anything. For those of you who were just never really happy with the color and or even the shape of your teeth we have porcelain veneers that are so life like you will forget you have them. Ask any of our doctors if you are a candidate for a smile make over, or as we call it "Smile Design". This procedure is called chairside bleaching and usually requires only one office visit. The dentist will apply either a protective gel to your gums or a rubber shield to protect your gums. Bleach is then applied to the teeth. A special light or laser might be used to enhance the action of the whitening agent. This is coupled with take-home trays to maintain your new smile. 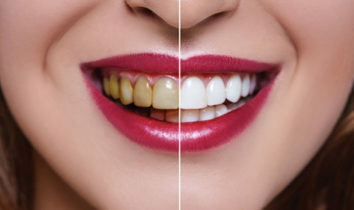 Peroxide-containing whiteners actually bleach the tooth enamel. They typically come in a gel and are placed in a tray that fits on your teeth. Botox can be performed only by a trained professional and Dr. Murray has received this specialized training. After completing his studies to become a dentist, Dr. Murray has continued his education to stay current. Dental Implants are titanium posts that are surgically placed into the jawbone beneath your gums. Once in place, they allow your dentist to mount replacement teeth onto them. Because dental implants fuse to your jawbone, they provide stable support for artificial teeth. 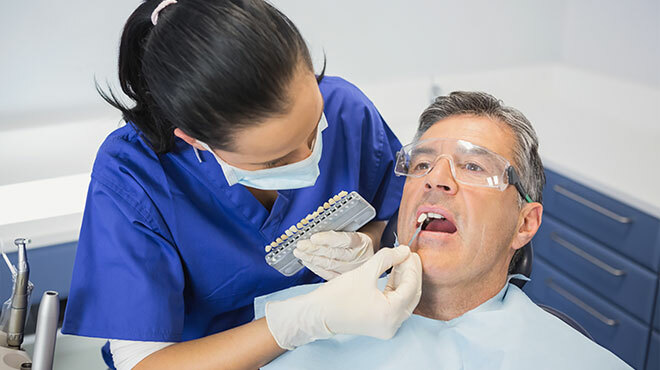 Fixed Porcelain Bridges or Dentures mounted to implants won't slip or shift in your mouth; an especially important benefit when eating and speaking. This secure fit helps the bridges or dentures; as well as individual crowns placed over dental implants; feel more natural than conventional bridges or dentures. For some people, ordinary bridges and dentures are simply not comfortable or even possible, due to sore spots, poor ridges or gagging. In addition, ordinary bridges must be attached to teeth on either side of the space left by the missing tooth. An advantage of dental implants is that no adjacent teeth need to be prepared or ground down to hold your new replacement tooth/teeth in place. Dental Implants can restore not only aesthetics and function, but they are placed chairside in about an hour. It's no secret that a beautiful, attractive smile can be one of your best attributes. If your smile is less than perfect, consider one of the many cosmetic procedures that we offer. Dr. Murray takes pride in using the latest techniques available in cosmetic dentistry today. Our cosmetic services include Porcelain Veneers, Orthodontics, Whitening, Bonding, Dental Implants and Invisalign.